A combination cruise/LAN party set to sail on Oct. 20 has been put on hiatus for the time being, as organizer Gamer Tech Events searches to replace an investor who pulled out in May. The cruise, dubbed the Video Gamer Gauntlet, had been accumulating partnerships months after losing the charter to its initial date. Though the charter fell through, Gamer Tech Events continued to promote and sign new partnerships without updating the status of the cruise. News first came to light when esports betting site MoneyMatches’ tweeted the company was pulling out, saying the cruise does not exist. The site’s CEO, Zach Smith, later confronted Gamer Tech Events’ CEO Curtis Smith over the phone while livestreaming the conversation on Periscope. Zach asserts that Red Bull, a major partner of the event, had pulled out. In emails sent to Compete, we were able to confirm that Red Bull has expressed interest in dissolving the partnership. The impetus was a warning sent from Royal Caribbean, who asked Gamer Tech Events to stop promoting the cruise until a line of credit came through for the charter, Curtis Smith told Compete. In the days since, some partners have pulled out, while others remain in limbo while waiting to see if a new investor comes through. Curtis Smith announced that the company is currently working on acquiring a new investor. 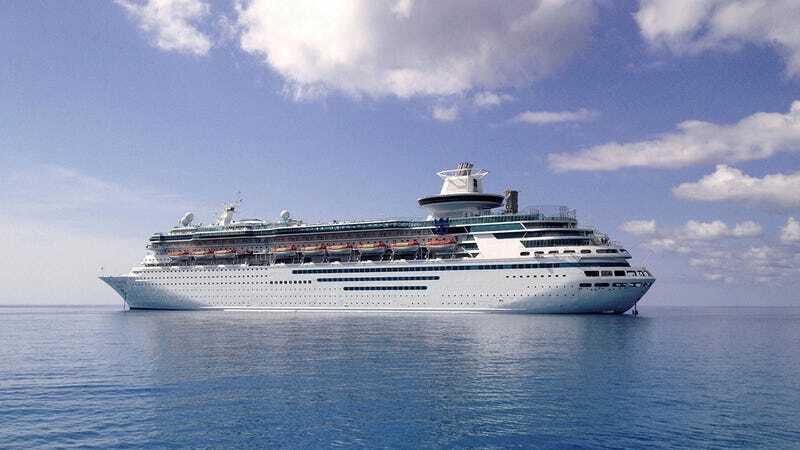 The cruise page has since been pulled offline, and organizers announced that refunds are available for all cruise-goers who would rather not wait and see. We’ve reached out to Royal Caribbean and Red Bull for further clarification, and will update if they reply.